The Greek economy is currently undergoing a major transformation, mainly because of the real estate boom and record-breaking tourist arrivals, the New York Times reported on Wednesday, according to greekreporter.com. The American newspaper analyzed the two major factors which are contributing to Greece’s rapid recovery following eight years of financial crisis: Tourism and real-estate investment. 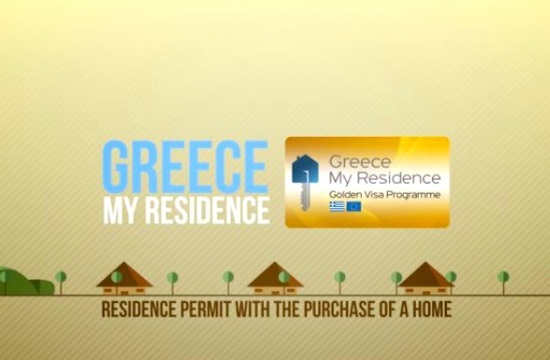 In an effort to attract foreign investors as well as revitalize its real-estate market, Greece initiated the ”Golden Visa” program in 2013. This plan stipulates that any non-EU national who invests more than €250,000 in the country’s real-estate market is granted a five-year visa, with the right to extend it. Nevertheless, the Greek state was not the first to implement such a liberal policy. Other European countries which had suffered through the Eurozone’s financial crisis, including Portugal and Spain, tried to take advantage of similar programs. The Chinese feel a definite affinity with Greece, since several of their country’s immense corporations, such as the Cosco shipping conglomerate, have already been a part of Greece’s economy for more than ten years now. Buying a house in Athens, Santorini or Corfu is enabling Greece to serve as a central European base for the Chinese. They are understandably thrilled by the idea that the right to live and travel across the European Union without restrictions for a minimum of five years can be won just by the purchasing of real estate. Yet, there are downsides to this unique plan, and the New York Times mentions several deleterious side-effects of the program, along with possible downsides to the boom in tourist arrivals in the city of Athens. More and more landlords in Athens and elsewhere Greece are refusing to rent their properties to Greek citizens, since they view short-term rentals and foreign investment a much easier way to earn more money. This situation has pushed thousands of Greek citizens out of Greek city-centers, in the exact same fashion as Barcelona saw several years ago, when the city experienced a similar boost in its tourist arrivals and foreign investment. It is becoming rather clear that, while the impressive spike in the numbers of tourists and investors are helping Greece get out of the spiral of recession, the rapid growth of specific sectors of the economy, without rules and regulations, can create real problems and hurt the cohesiveness of Greek society itself.